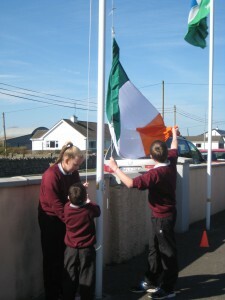 We remembered the brave men and women who fought for Ireland’s freedom in 1916 as we read the Proclamation of the past together with our school’s new Proclamation for better Ireland. 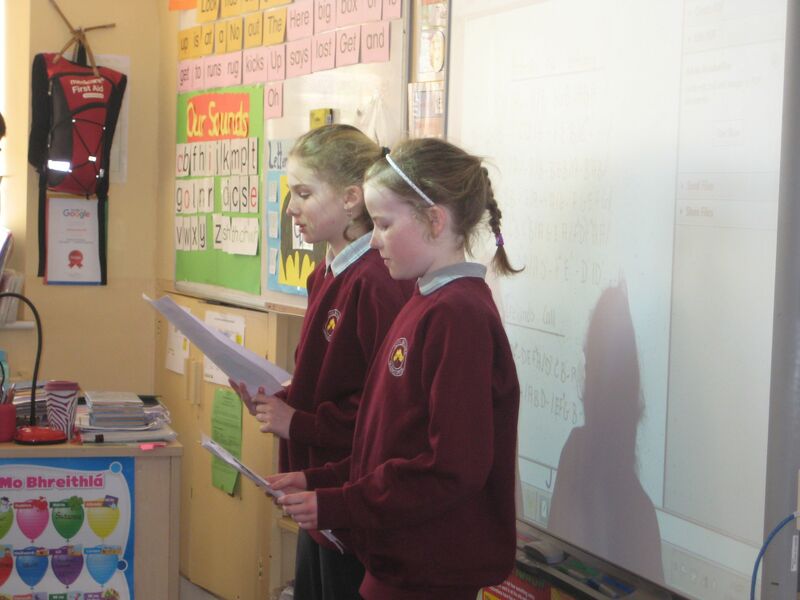 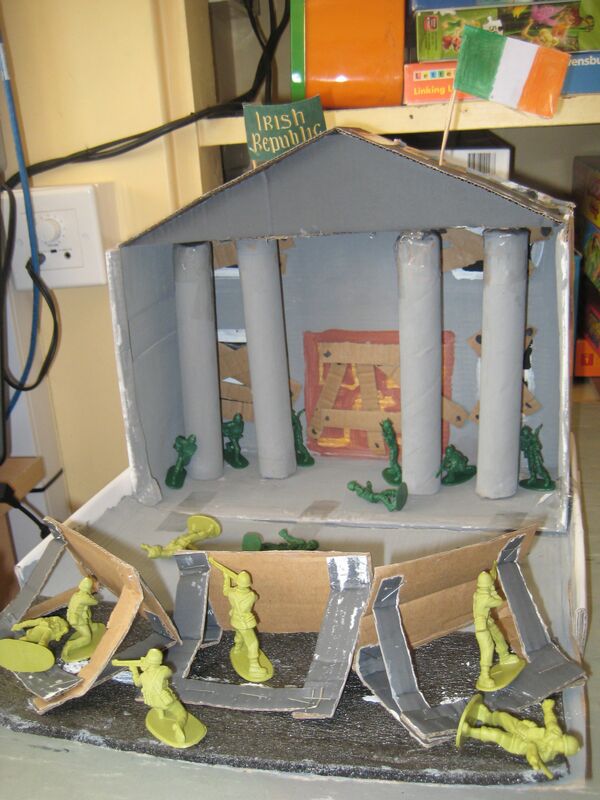 The fifth and sixth classes read the timeline of events depicting the undertakings of the 1916 Easter Rising in great detail, whilst the third and fourth classes read excerpts describing each of the signatories of the original Proclamation. 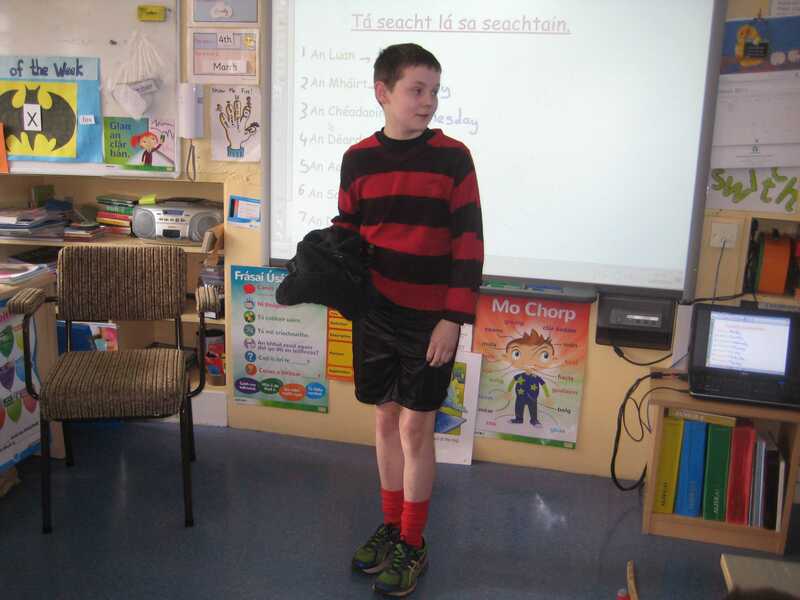 The senior classes then delighted our guests with a verse from Amhráin na bhFiann, played beautifully on the tin whistle. 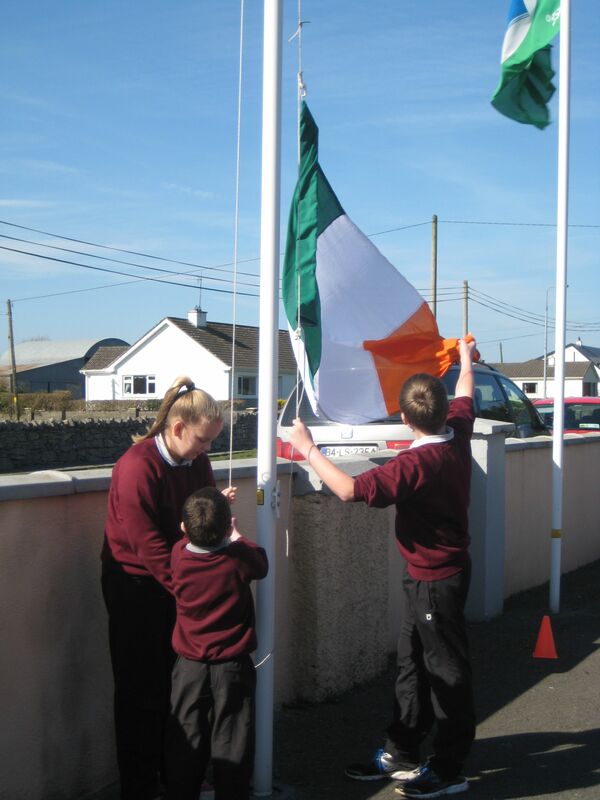 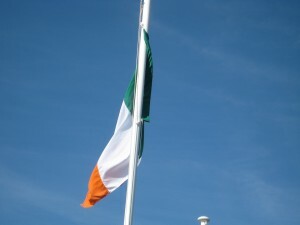 Following this moving tribute, the pupils, teachers and guests gathered together outside to sing our national anthem and to raise our national flag, which was raised gracefully by Harry who was kindly assisted by Saibh and Christopher. 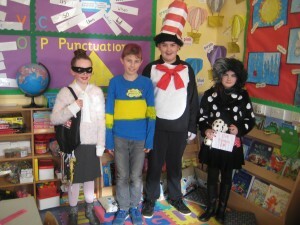 Following this moving and delightful centenary celebration, the pupils, teachers and guests were welcomed back into the school for some refreshments, before the celebration came to a close. 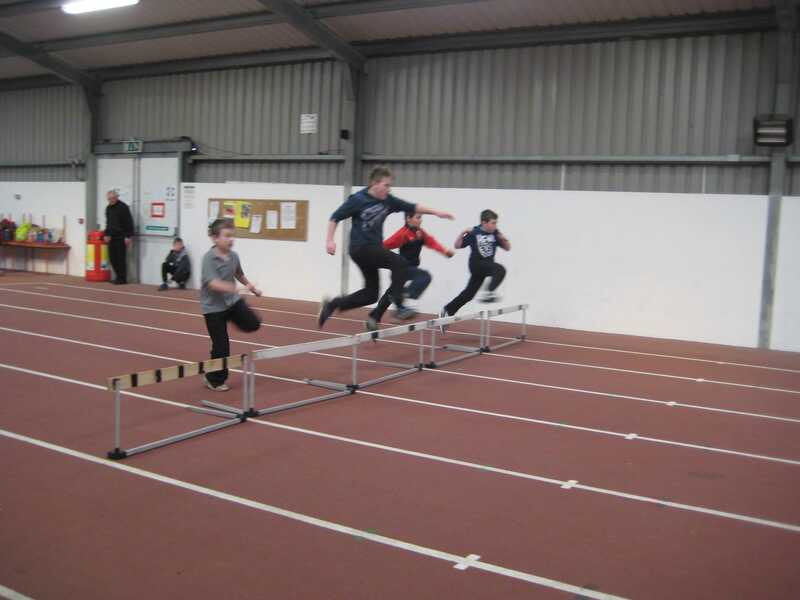 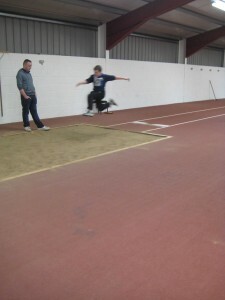 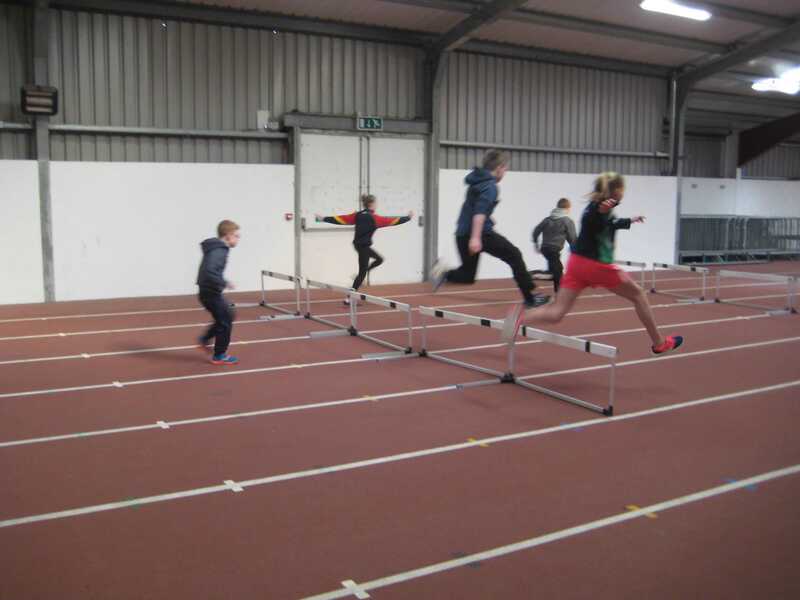 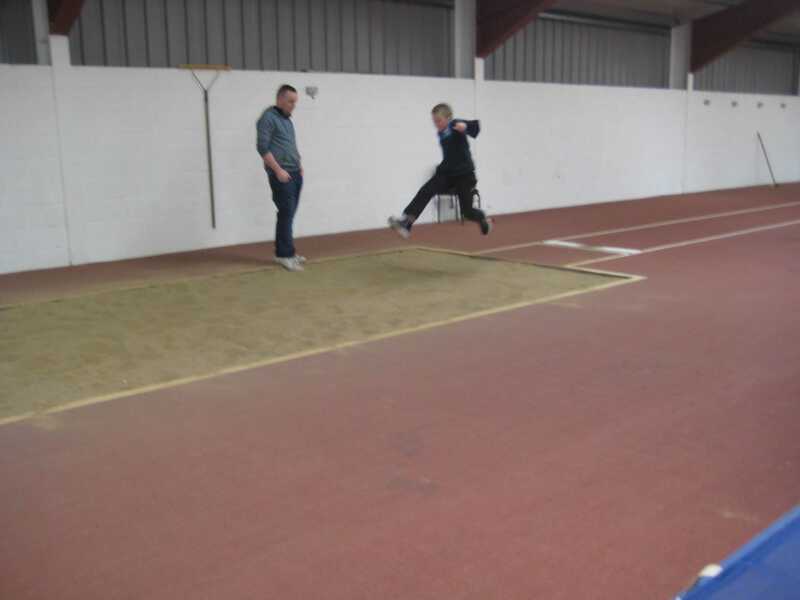 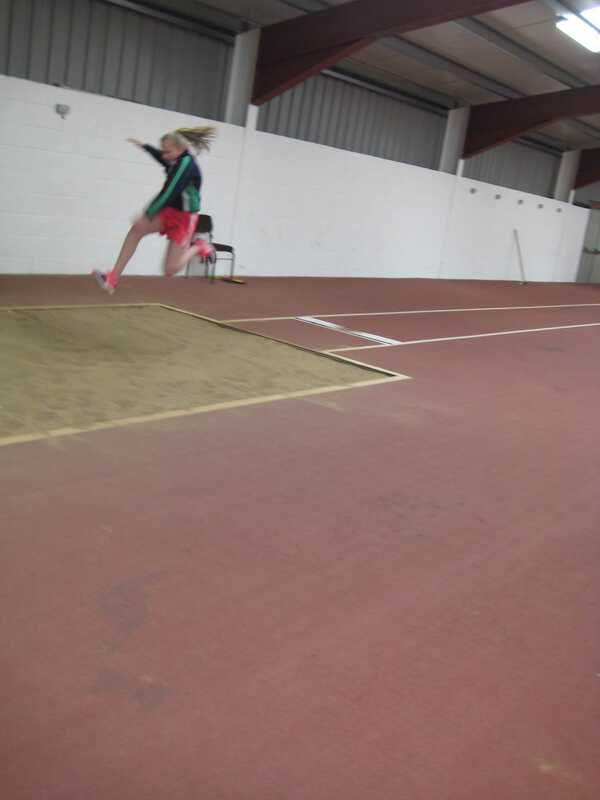 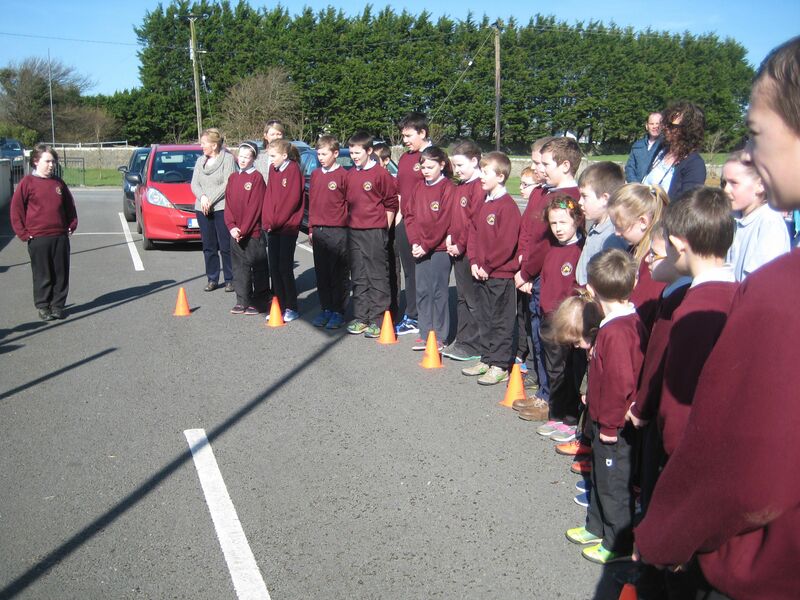 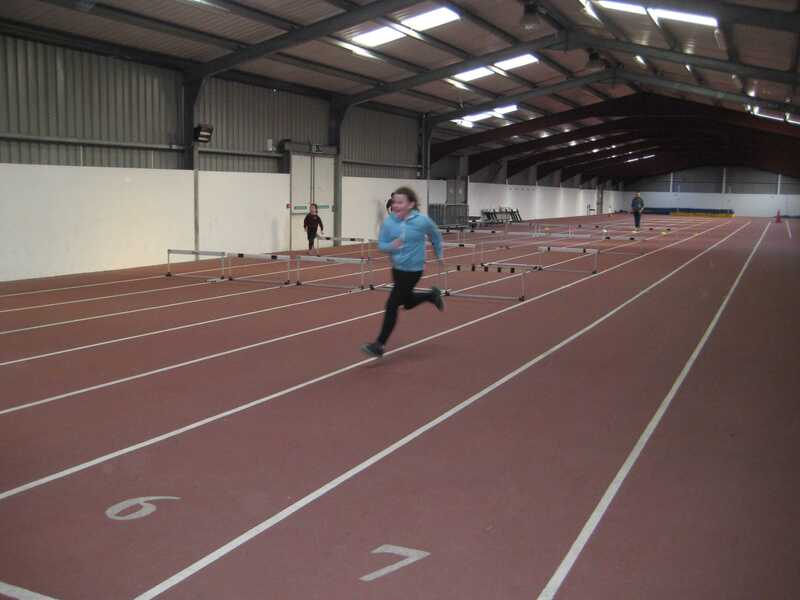 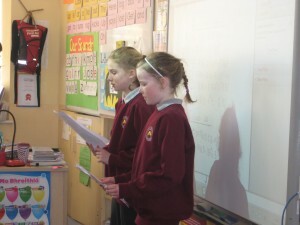 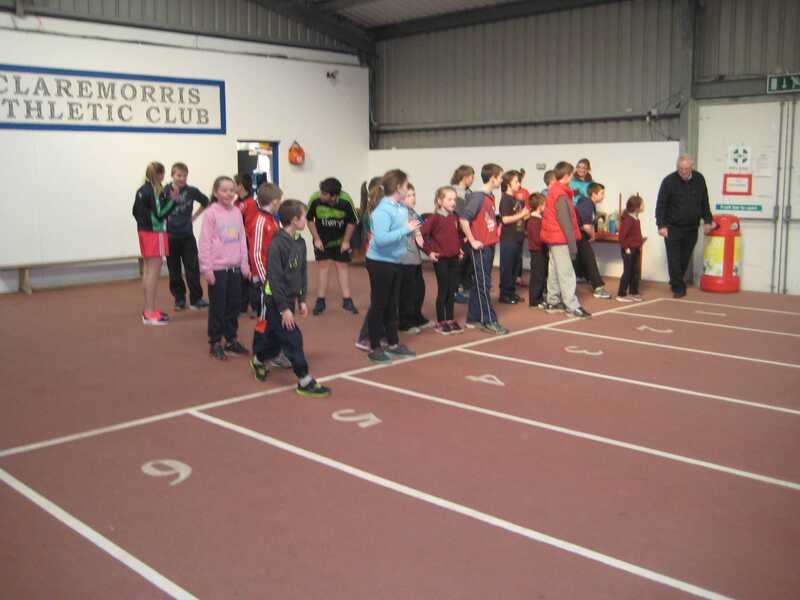 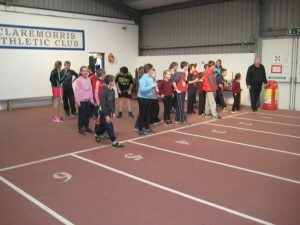 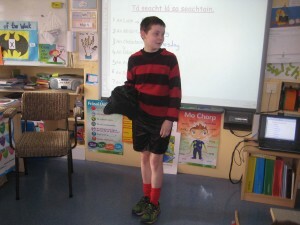 On Wednesday the 9th of March, 1st – 6th class travelled to Claremorris Athletics Track. 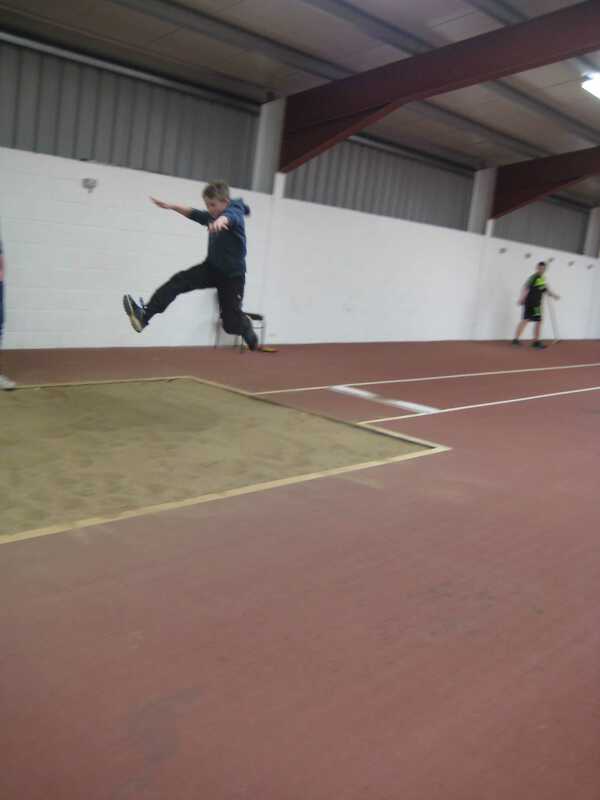 We had a fantastic time competing in the hurdles, relays, high jump and the long jump! We certainly have some future Olympic stars in the making! 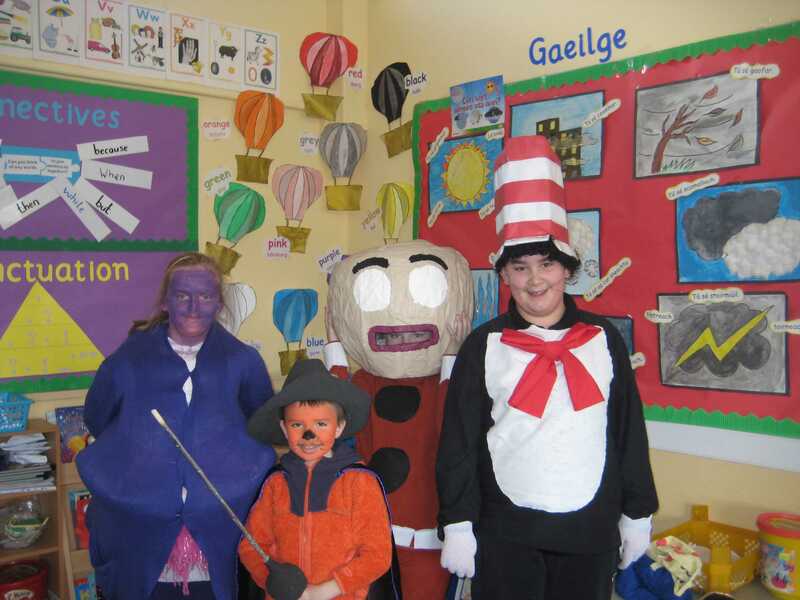 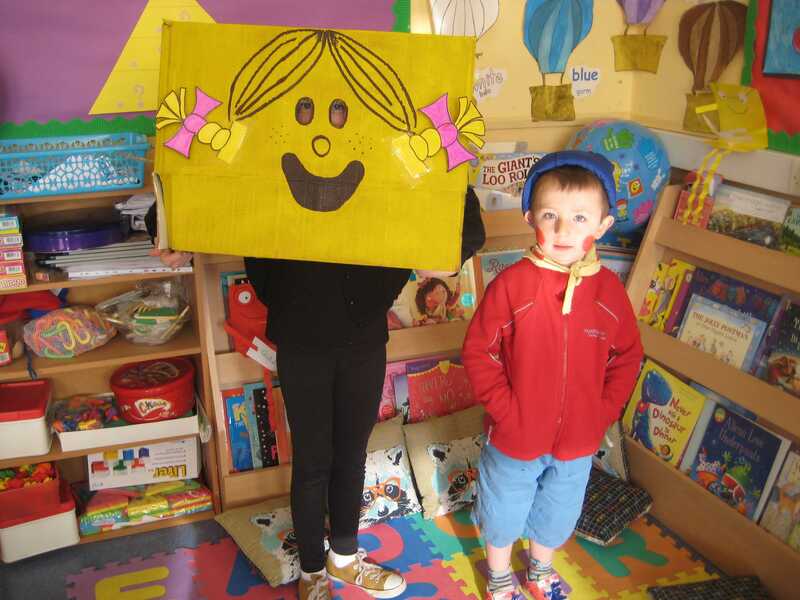 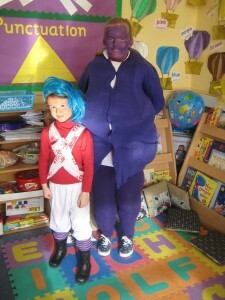 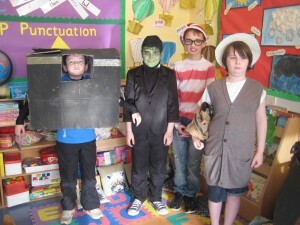 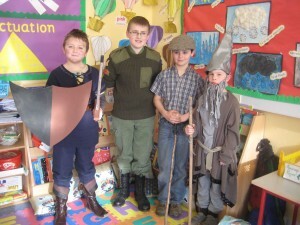 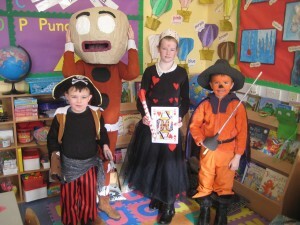 On Friday 4th March, we celebrated World Book Day. For weeks, we had been busy making our very own costumes, with a little help from mum & dad. We loved the opportunity to dress up as our favourite book characters! 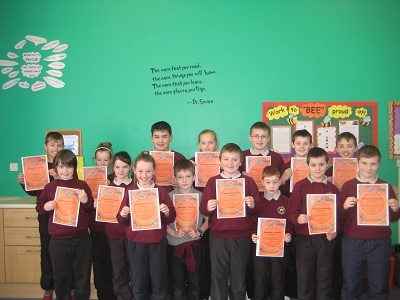 Today we were delighted to receive our certificates of completion for the Friends for Life programme. 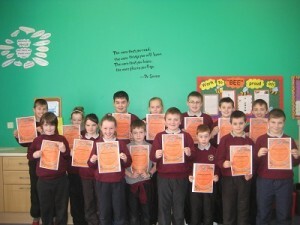 We are so proud of our certificates and certainly have gained friends for life in our school. 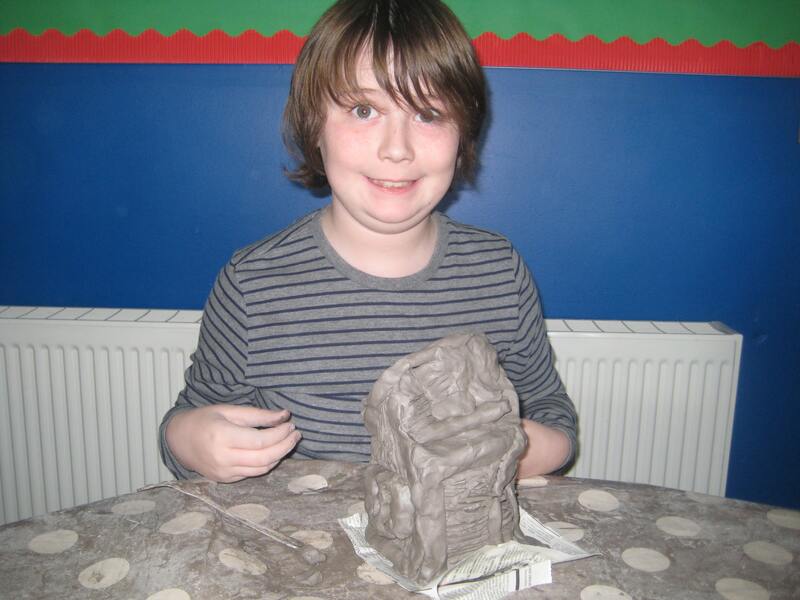 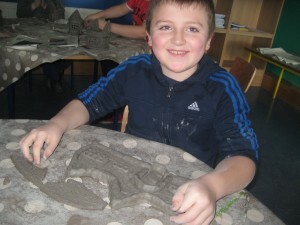 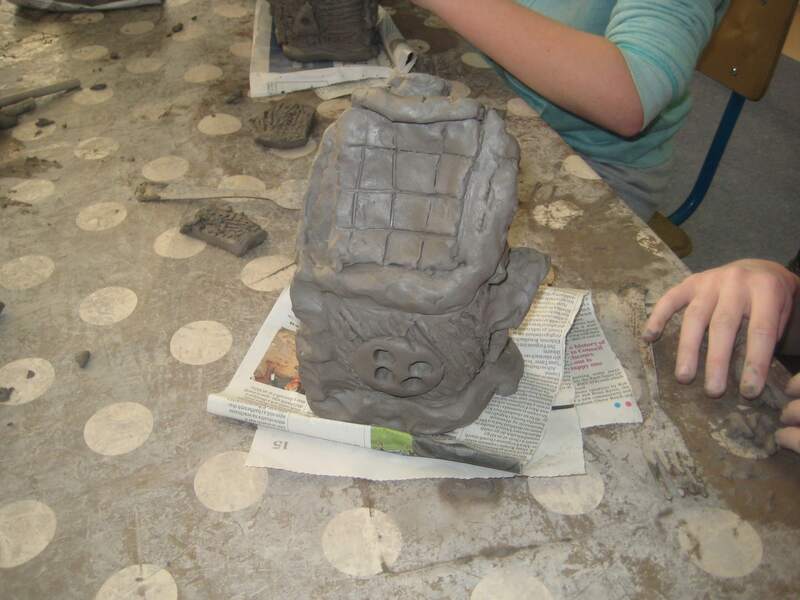 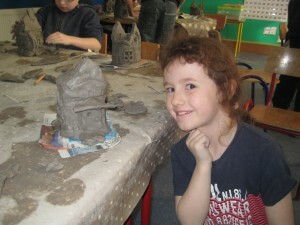 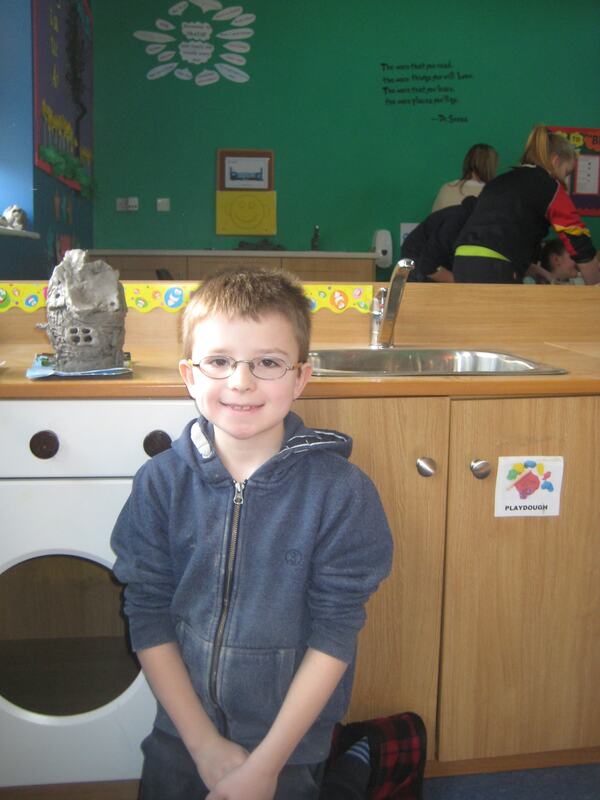 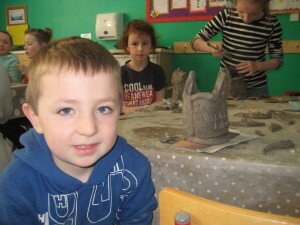 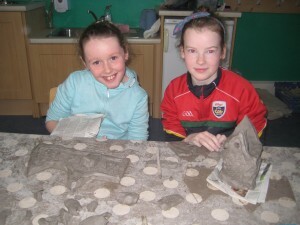 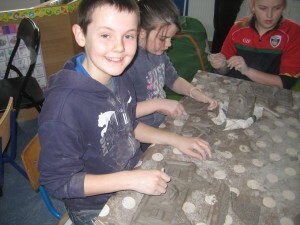 We were delighted to have the opportunity to explore pottery in an art lesson all about clay. Our guest teacher for the day was Finn. He explained all about pottery and clay, the tools we needed to use and how to care for and recycle our clay when we were finished. 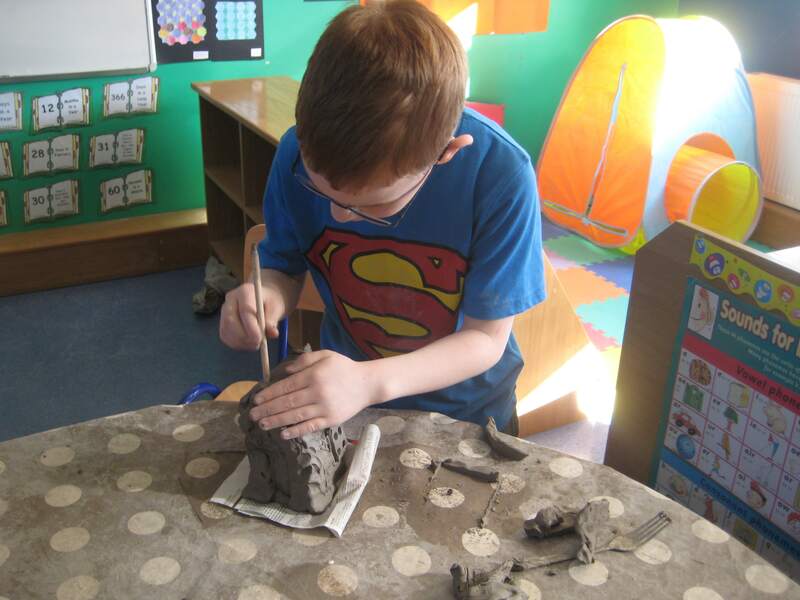 He showed us some how to create amazing sculptures using a variety of building and sculpting techniques such as: rolling, pinching, pressing, patting and cutting. He also explained the importance of making a ‘key’ when joining separate pieces of clay together. We had such a wonderful day and we even got to take home some clay to practice at home. 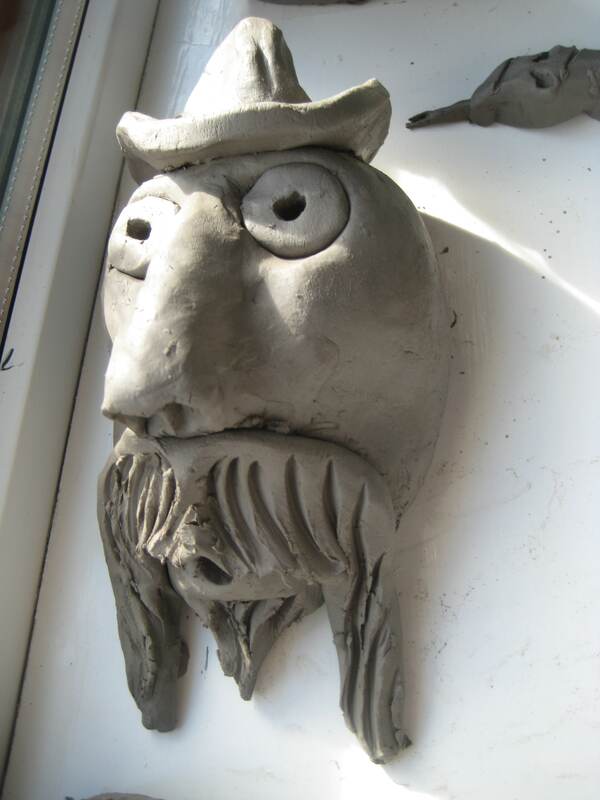 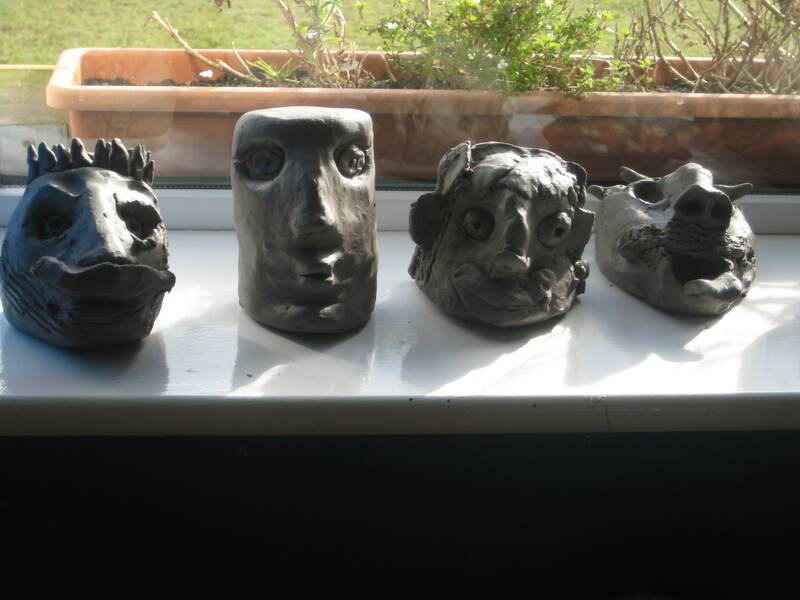 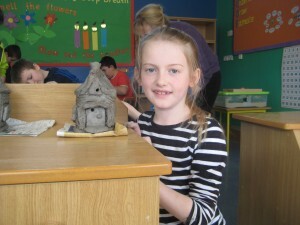 Have a look at the fantastic sculptures we created! !